Over a hundred industry leaders and stakeholders took part in Singapore Business Review's latest Industry Insights Series for the Hotel and Hospitality and Food and Beverage industries. 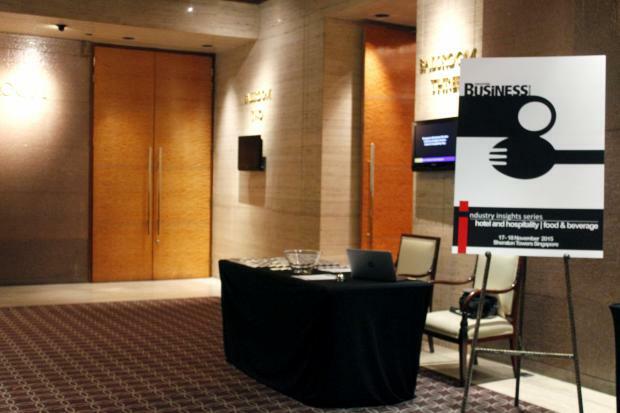 The SBR Industry Insights Series 2015 was held on November 17-18 in Singapore. The Hotel and Hospitality session was held on November 17 from 8:30 AM to 12:30 PM at the Sheraton Towers, while the Food and Beverage session was held on November 18 from 8:30 AM-12:30 PM at 39 Scotts Road.